The AiM SmartyCam HD Camera System bridges the gap between high-resolution video and on-screen data in one revolutionary package designed specifically for motorsports. From its conception, the goal with SmartyCam HD was to create a truly visual data tool that would provide stunning video quality with integrated on-screen feedback to ultimately make you go faster on the racetrack. Racing deserves a better video and data solution, and SmartyCam HD is the answer. SmartyCam HD embodies everything AiM has learned from decades of being on and at the track. Each component, from imaging to the body itself, was selected for its ability to provide the highest quality video and data. The result is a track-ready system that is all show without sacrificing the go. SmartyCam HD allows you to quickly select from a variety of in-video overlays tailored for your type of racing. The new SmartyManager software even offers the freedom to choose from a vast gallery of overlay elements to create a customizable video experience. And with the improved LogoManager plug-in, personalizing your video has never been easier. Visualize RPM, speed, lap times, G's, throttle, brake, track position, and anything else you might want to see in a video to help you improve. Were you actually "flat out" through turn five, or did it just feel that way? Now there's no guessing, no question, and no excuses. Faster lap times are just a video away, as you can analyze every second of every lap. 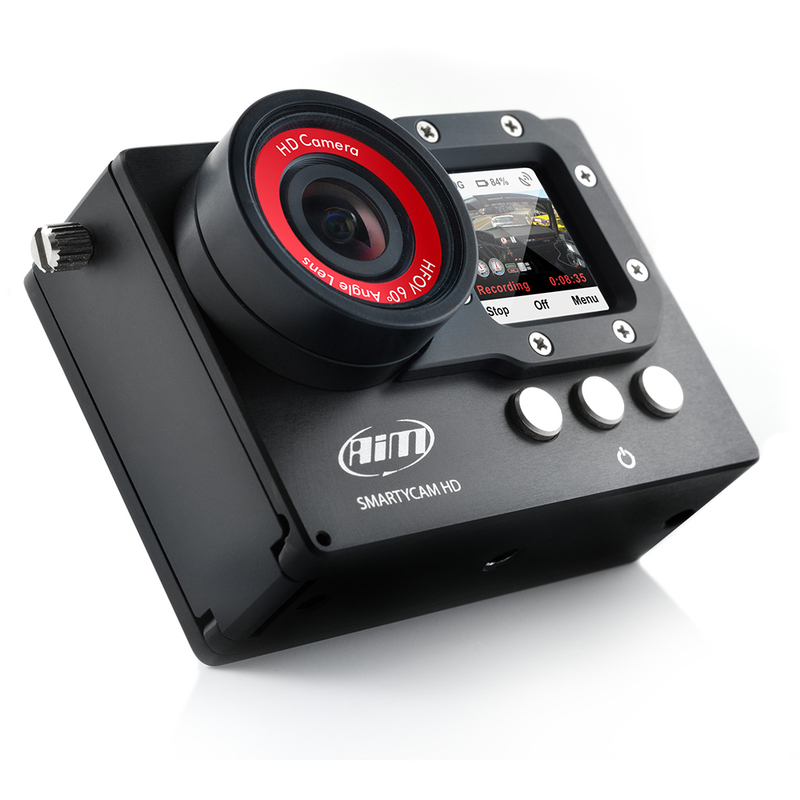 A quantum leap in video, SmartyCam HD is the first to offer a global shutter CMOS imager for motorsport applications. Traditional cameras use a rolling shutter to capture video, which causes wave and other artifacts, resulting in poor video quality. The advantage of a global shutter is that it exposes the entire image simultaneously, not one line at a time. This provides clear picture and brilliantly sharp race footage. AiM came up with an exclusive seven-element optics package so that your race footage, day or night, looks brighter and sharper than ever before. To be sure your video plays back exactly the way you saw it on track, a hybrid infrared filter keeps clarity-robbing light out for more accurate, uniform colors. Sporting an all-aluminum chassis with waterproof construction, the SmartyCam HD is track-clad and ready for battle. The front-mounted TFT color display makes aiming and setup a breeze, while the detailed buttons allow for navigation even by a gloved-hand. SmartyCam HD uses intelligent recording logic to start and stop, so you never miss any on-track footage. Select from a variety of smart-settings to fit your racing application. The built in three-axis accelerometer instantly and automatically brings the system to life, tells it when to start and stop, and even when to power down to conserve battery life. Plus, you can connect your Smarty-Cam HD to an AiM data system and let the integrated CAN bus do all of the heavy-lifting, from charging and recording, to data sharing between devices. 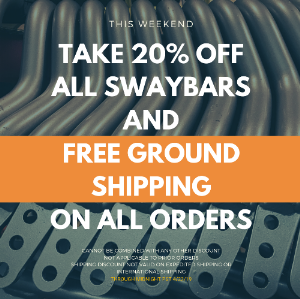 All you have to do is drive (really fast, of course). If you have a formula car, or a bike, in which SmartyCam is not as easy to install, we also offer SmartyCam GP. This camera provides the same video quality, same connections to data loggers, and has the same features but in black anodized aluminum, billet machined with a light, robust, and really small Bullet-Camera. Please Note: Included with the SmartyCam HD is a 12v power source, CAN cables are a separate accessory.